The domestic unit on Monday dropped by 55 paise to close at 71.80 to the US dollar, the lowest level since December 17. The rupee on Tuesday opened 10 paise higher at 71.70 against the US dollar ahead of three-day RBI's monetary policy meeting, that starts later in the day today. The domestic unit on Monday dropped by 55 paise to close at 71.80 to the US dollar, the lowest level since December 17. This was the second straight session of loss for the domestic unit, during which it lost a total 72 paise. 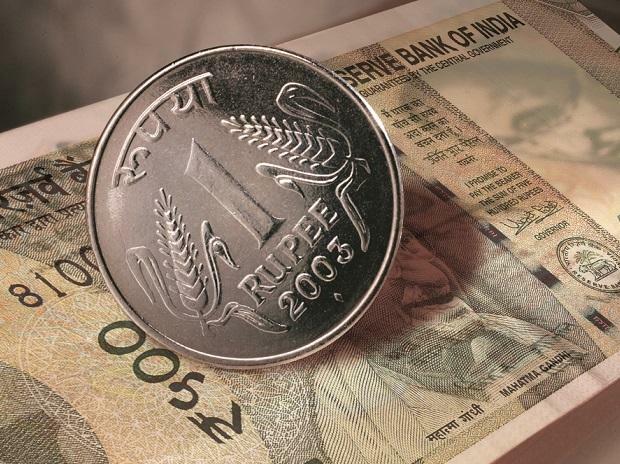 Rupee came under pressure on Monday ahead of the important RBI policy statement that will be released later this week. Expectation is that the central bank could consider cutting rates by 25bps but change in the stance could trigger volatility for the currency, said Gaurang Somaiya, Research Analyst (Currency) at Motilal Oswal Financial Services. This will be RBI governor’s first policy meeting and a dovish stance could put the currency under pressure. In its December monetary policy review, the RBI had kept interest rates unchanged. Overseas investors pulled out Rs 112.13 crore from the Indian capital market on Monday while domestic investors' outflow stood at Rs 65.22 crore, NSE data showed. "Today, USD/INR pair is expected to quote in the range of 71.70 and 72.20," Somaiya added. On the global front, Asian stocks extended their gains on Tuesday as overnight strength on Wall Street and the Federal Reserve’s dovish turn underpinned risk appetite, while the dollar held firm on last week’s upbeat US data. Oil prices, too, inched up in the early trade.